Tag Archive | "Coach London"
The Cedar Springs JV golf team lost to Rockford 200-214 in a dual at Cedar Chase on Monday April 17. Austin Emmorey and Carson Svalin shot 51’s, Josh Allen 54, and Jacob Burgert 57. The Red Hawks also competed in their first OK White Jamboree at Cedar Chase on Wednesday, April 19,and finished 4th with a score of 201. Emmorey was medalist with a 45, Allen 51, Trey Lewis 52, and Svalin a 53. Dane Conley and Jared Hause both shot 61’s. 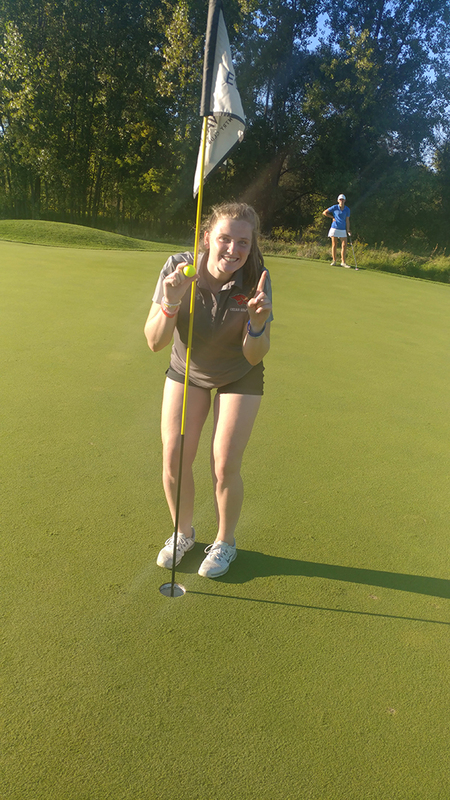 The Cedar Springs Girl’s Varsity Team had a strong finish to the OK White season by shooting a 471 at Candlestone Golf Course last week. Michaela Tawney and Malory Shevock shot 112, Audrie Davis 113, and MacKenzie Clark 134 (Carrigan Clark 153) to lead the way. The Red Hawks were scheduled to finish their season this past week at Greenville in the Division 2 Regional. The Cedar Springs JV Golf team lost a close one to Lowell 217-215 @ Cedar Chase on Thursday, April 14. This brings their season record to 1-1. Evan Galle and Dylan Tanis shot 53’s, Jarred Reyers 55 and Paul Krajewski 56. The Cedar Springs Girl’s Golf team’s season came to an end at Thornapple Pointe Golf Course. The squad brought three girls to the Regional (state tournament) so there was no team score. Alyssa Keaton led the way with a fine score of 99, Michaela Tawney 115 and Audrie Davis 139. The Cedar Springs Girl’s Golf team competed in the Russ Johnson Invite this past week. Alyssa Keaton shot a 103, Audrie Davis and Michaela Tawney each shot a 117.